An aneurysm is the term used to describe when an artery is weakened by generalised vessel disease and it loses its ability to resist the pressure of blood inside it. First it gets wider, then, as time progresses and without preventive treatment, it gets weaker to the point where it is at high risk of bursting. The Aorta is the large long high pressure artery that distributes blood throughout the body directly from the heart. It can develop aneurysm disease at any point along its length from where it starts at the heart to where it divides deep in the pelvis. Any person can develop aneurysm disease but it is most frequently seen in males over 60 years of age, particularly if there has been any regular smoking habit either currently or in the past. 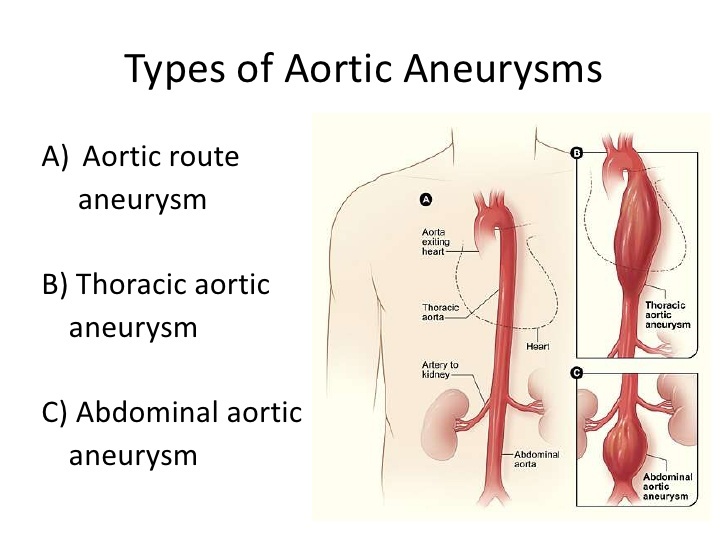 Aortic aneurysms dont often cause symptoms; they are most frequently found during an examination or medical investigation for another reason. In some countries, but not in New Zealand, there is routine population screening of men to identify abdominal aneurysm (the most common type) so that treatment can be provided before the wall weakens to the point of bursting (rupturing). Preventing rupture is important because a ruptured aortic aneurysm is nearly always rapidly fatal. Very few who suffer it survive the trip to hospital or the emergency operation that is required to survive. By contrast, treating the aneurysm before it ruptures is nearly always survived, can be done in most circumstances through keyhole surgery, and even with the patient awake.